Oh dear Connie – well you did ask! Storage is the problem – thus blog and hard drives are my repositories. I simply adore that picture of the dog and his little girl. Oh, really good question. Sadly, mine live on our hard drive and do nothing! But thankfully these photo challenges and my blogs allow me to pull a few of them out to share. I can’t remember the last time I printed one. You have me thinking though, I may need to check out these sites! I’m working on scrapbooks but it’s going to take forever! Good question about what to do with photos! Most are in shoe boxes, many digital ones on CDs, and I have a few scrapbooks… Tackling scrapbooks seems so overwhelming so I like the idea of a LOAD. I was just thinking the other night I need to make decisions regarding my pictures. 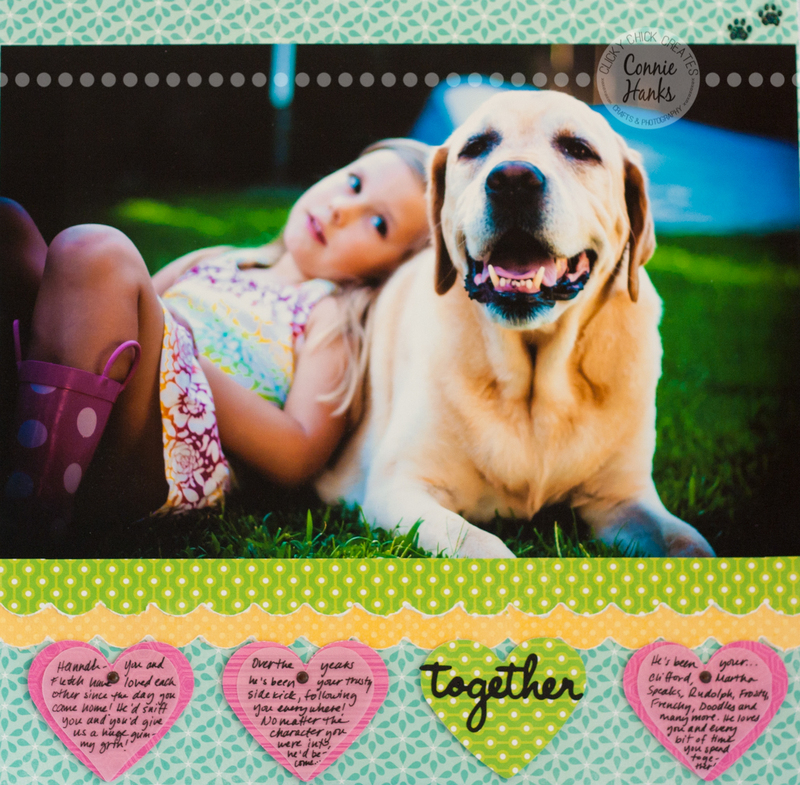 I never thought of scrapbooking…wonder if nature pictures would fit into scrapbooking? Currently I have them on my camera, on my laptop and on a website. Like you, I believe in having hard copies to look at, whether they are photobooks or scrapbooks. I scrapbook my photos (slowly but methodically) and sometimes make photobooks for vacations. Simply put, someday someone will be able to look at my photos that are printed in a book without the need of a machine to help them decipher 0’s and 1’s. Digital media can get lost very easily! — signed the scrapbooker and archives student. Good question…on the hard drive, blogs, sent to friends, calendars, and hopefully into some more photo books. Good gifts to my mother. Having just moved from the U.S. to Chile, Raeski and I had to decide what to do with all those pre-digital photos. We both decided which ones we wanted to keep which were mostly of friends and family who have passed on. The next set we decided who would like them and gave them away away. The last set we tossed. Digital photos are treated differently. I deleted any photo in the camera that looks blurry. Next I do the same at home on the larger screen. Then if there are duplicates (Wooly takes thousands of photos on a trip) I choose one or two with the best composition. Next up is Lightroom where I take a very close look at each photo. If I decide I would print the photo on a metal I keep it. Finally, the photos that made the cut are saved to a second hard drive. As my collection has progressed I am seriously considering a backup service in the cloud somewhere. Wow, you have a wonderful system in place! Good for you!! You inspire me to be more diligent in my curating process : ) Thanks for sharing! !